For centuries we have understood the ancient Greeks to be profound innovators in philosophy, science, architecture, art, mathematics, astronomy, and politics. But it was just 10 years ago that we learned they were equally accomplished engineers. In 1900, a mysterious, shoe-box sized device with at least 30 tightly-packed bronze gear wheels was found off the coast of the Greek island of Antikythera. It was not until 2006 that a team of astronomers, historians, and mathematicians were able to decipher just what the mechanism was. Powerful 3D X-rays and sophisticated computer imaging techniques were necessary to crack the code. 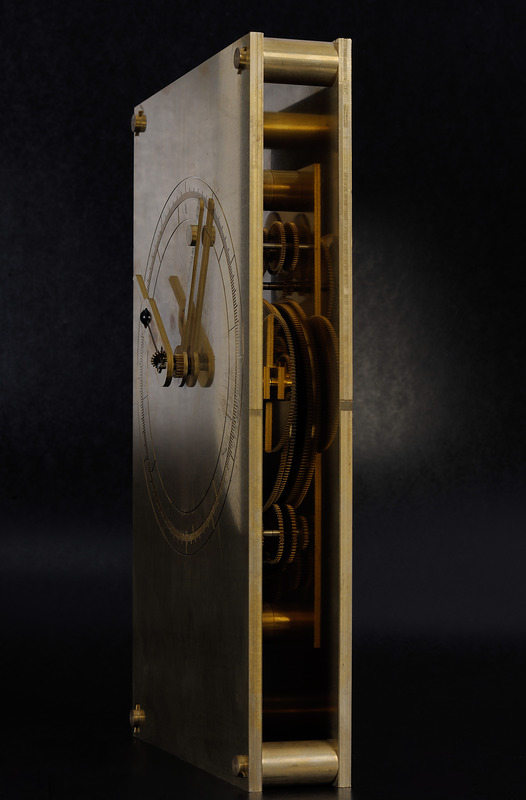 The Antikythera mechanism is now understood to have been built in in the 2nd century BC. 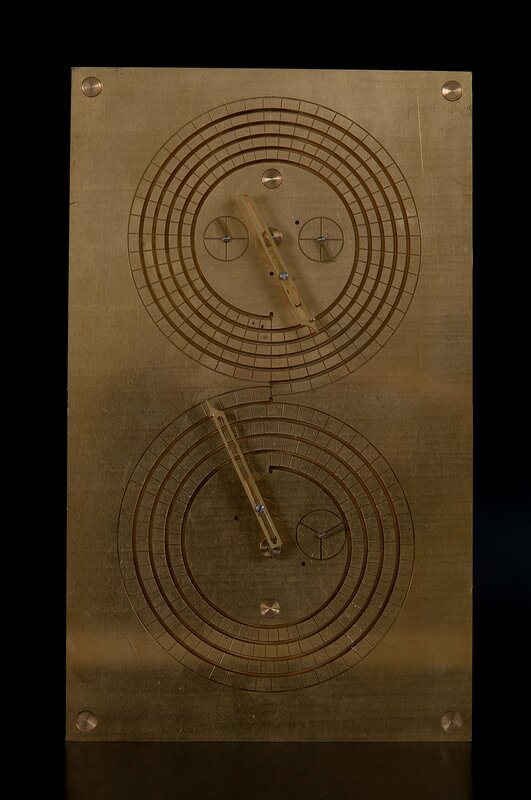 It used bronze gear wheels to track the position of the moon, sun, and specific stars. It indicated the date on the Egyptian Calendar, the Greek Zodiac signs, the Metonic cycle, and the Callippic cycle, and was also able to mechanically predict solar eclipses. It even included (from our perspective) a dash of whimsy – an Olympic games indicator (4 year cycle). 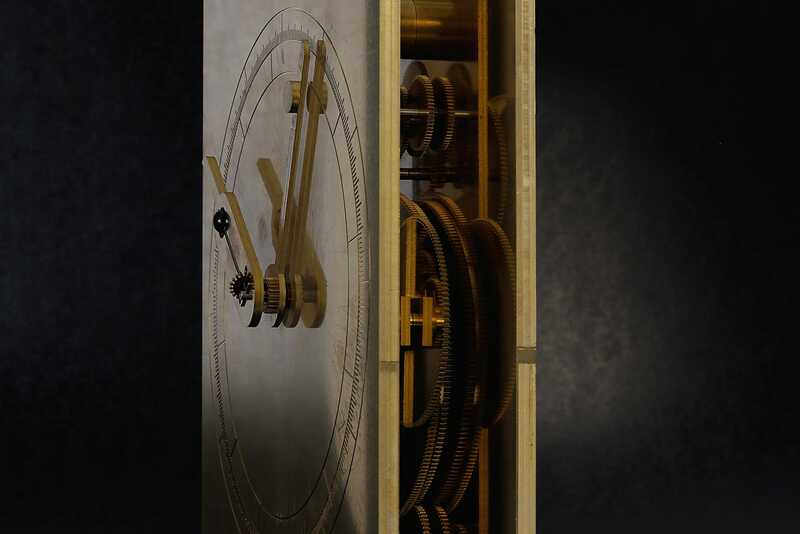 Ludwig Oechslin, as director of the International Museum of Horology (MIH) in La Chaux-de-Fonds, was given an advanced preview in 2005 of the Antikythera researchers’ work before it was published in Nature. Out of curiosity for how the mechanism might have worked, and because there was nothing else available for him to study at the time, Oechslin created an interpretation based on the upcoming Nature article. Oechslin completed two Antikythera executions in 2006. One has plexiglass front and rear panels for educational purposes and is now on display at the museum in La Chaux-de-Fonds. 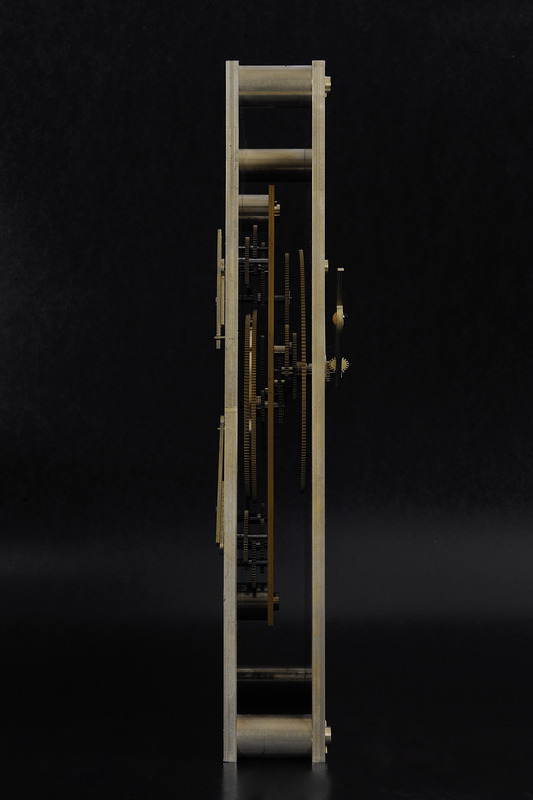 The other, pictured in this blogpost (first in 2009), is executed entirely in brass, and is housed at our workspace in Lucerne. There are a couple of interesting differences between Oechslin’s execution and the Greek original. First, Oechslin wanted to make his mechanism more functional, so instead of cutting the gear teeth in the shape of equilateral triangles, like an ancient Greek craftsman using the tools of the time, Oechslin milled his Antikythera with modern gear teeth. 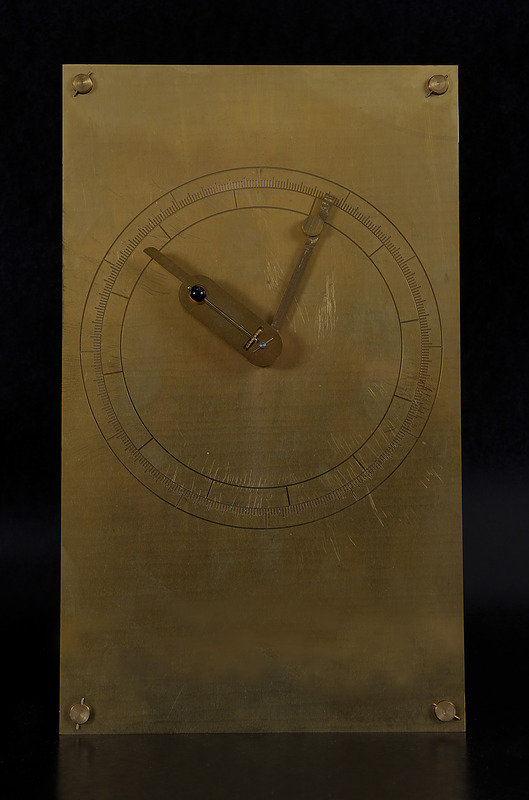 Also, Oechslin’s Antikythera includes a stroke of elegance to preserve the symmetry of the device – the original was manually operated with a protruding hand crank, while Oechslin’s interpretation allows the largest gear wheel to be easily rotated by slipping your fingers into both sides of the device. Oechslin’s Antikythera is like a work of art as well as a historical interpretation. 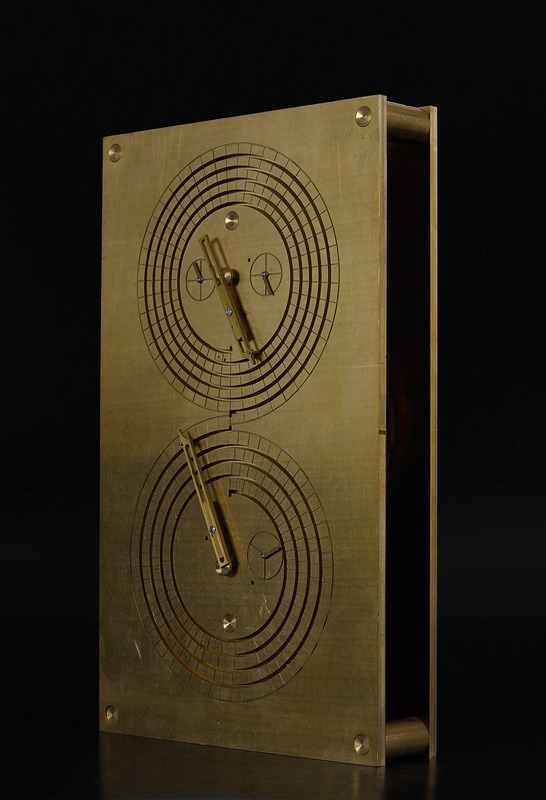 The devices were created at Oechslin’s workshop in La Chaux-de-Fonds. The dimensions are also more compact than the Greek original – 33cm x 19.8cm x 4.9cm. Upon request, we could manufacture Oechslin’s Antikythera at Peter Cantieni’s workshop. Please contact Beat Weinmann with any questions.